Jared Kushner may be a lot of things, but naive is definitely not one of them. Yet, following the Washington Post’s story that he suggested in a December meeting with Russia’s ambassador Sergey Kislyak that they create a secret communication channel between the Trump transition team and the Kremlin, many openly asked, could Kushner be so naïve? We heard it from pundits to even former FBI and KGB agents. Though Kushner lacks the political experience of a traditional White House advisor, Kushner’s conduct can in no way be dismissed as simple naivete. He’s a 36-year-old lawyer and real estate/media tycoon. After graduating from Harvard University, Kushner went on to New York University Law School, one of the top ten law schools in America, where he earned both a law degree and an MBA. Even before graduating from law school, Kushner had purchased The New York Observer, a well-respected media publication, for $10 million. Add to that, Kushner shortly thereafter purchased 666 Fifth Avenue, a prestigious New York City office building for $1.8 billion. And it’s clear that Kushner played hardball in the cutthroat world of New York real estate. As The Washington Post reported on Sunday, Kushner used The Observer to go after those who stood in his way. 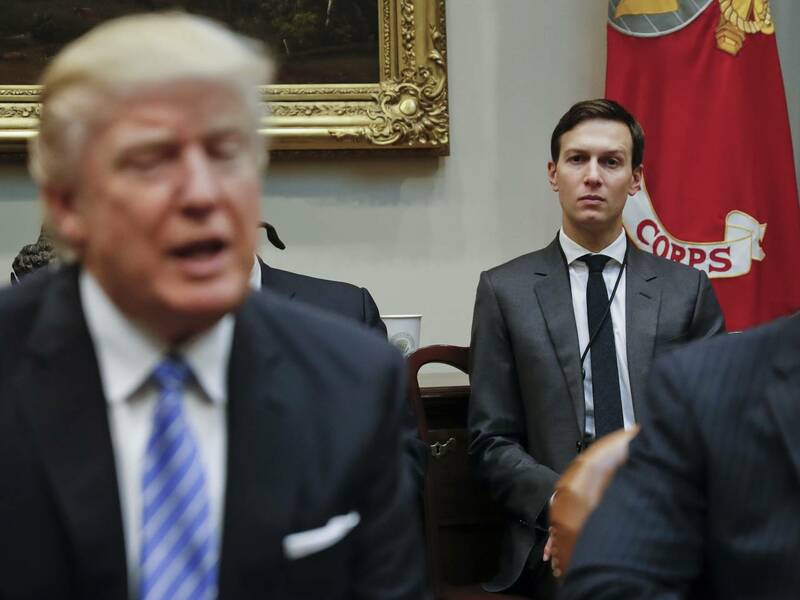 According to one Washington Post source, when one lender tried to thwart Kushner’s real estate goals, Kushner told the Observer’s editor to run a story that would expose “potentially embarrassing details about the uncooperative lender.” And a former Observer editor noted that Kushner wanted a “hit job” on another business foe at a later date. Kushner also used sophisticated financial strategies, as well as every contact he had, including his father in-law Donald Trump, to save the 666 Fifth Avenue building from foreclosure during the Great Recession. He ultimately made a deal with several of his major creditors that allowed him to ease his debt burden by offering them increased ownership in the property, although Kushner was able to retain majority control. Now, in addition to the recent revelations about Kushner raising the idea of a secret communications channel with the Kremlin, it appears Kushner also failed to disclose on his application seeking top security clearance that he met in December with the Russian ambassador as well as the head of a Russian state-run bank that was under US sanctions. Only after the media publicized this omission did Kushner amend his security form to include these meetings. source: CNN / Dean Obeidallah, a former attorney, is the host of SiriusXM’s radio’s daily program “The Dean Obeidallah Show” and a columnist for The Daily Beast. Follow him @deanofcomedy. The opinions expressed in this commentary are his.